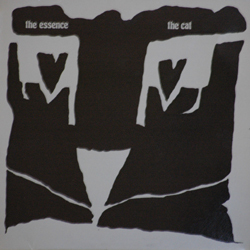 “The Cat (Extended Version),” by The Essence « DON’T ROCK N ROLL NO! Published on December 4, 2007 in 80s. Closed Tags: 1986, dark, goth, uk. There’s something about The Essence that has me always defending them in my heart. An unstudied ear might consider them just a ripoff of the Cure, due to the strikingly familiar lead vocals, but I think there’s something a little more rocking here. The sounds are fuller and everything seems a little less delicate. This particular track has a hint of the sounds that make the New Model Army and U2 songs of the same era so good. Once again, we learn of an upcoming re-release from Myspace. Cherry Red’s putting it out.